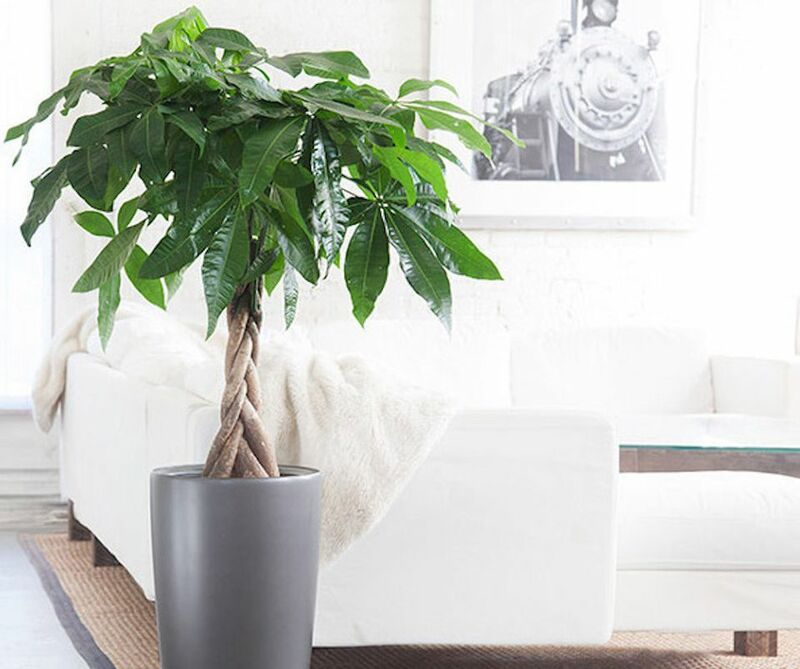 In traditional feng shui practice, certain plants are thought to enhance the energy of abundance and thus are called money plants or money trees. A money plant can be a good choice for displaying in the money or wealth center of your home, although there are other areas that are also enhanced by a money plant. Adding a feng shui money plant entails two decisions: choosing the right plant, and choosing the right location for that plant. There is a lot of confusion in feng shui as to what plant species should be considered the proper money plant. The truth is that you can use any healthy, vibrant, lush plant as a feng shui money plant because the meaning of the symbol is in its energy, not its name. The energy of the feng shui money tree is in its vibrant and well-rooted energy—this energy of growth is what you hope to see reflected in your own financial situation. Deciding which plant to use as your money tree is a very personal decision. Take a look at each of your options and consider their look and feel to determine which one will look best in your home. In addition to your personal attraction to a specific type of plant, also take into consideration how much care and maintenance the plant will require. Be honest about your abilities to grow the plant. If you don't have a green thumb and instead tend to kill plants, an artificial money tree may be a good choice. In the world of energy, like attracts like, so if your plants are lush and thriving, the energy attracted to them will also be lush and thriving. If your plants are withering and fading, this will have the opposite effect on the surrounding energy. Succulents and tropical plants are generally good choices because they are relatively easy to care for, even for a novice. Give them plenty of light and regular watering after the soil dries out and they should remain healthy. If, however, your money, health, and fame areas don't offer enough light, you may want to use artificial lighting or choose a plant that can tolerate low light. It's also possible that a living plant just isn't for you. In addition to artificial plants, there also many vibrant images of lush wood—from forests to meadows—that can also bring the energy of abundance into your space. Consider all your options before deciding which you'd like to add to your home. Crassula ovata: Also known as the jade tree, this is a succulent that is easy to look after. It has an abundant, happy feel to it and looks good in most homes or offices. Jade plants do need a lot of light in order to thrive, so be sure your place is a good match for it. They do not, however, need much water because succulents store reserves in their leaves. This is an excellent choice for most people, as they are very easy to grow. Jade plants are, however, sometimes susceptible to mealy bugs and other pests, though they are rarely killed by them. Jade plants are very long-lived and can assume a bonsai-like growth habit with time. Pachira aquatica (also known as P. glabra): This tropical plant is commonly referred to as the money tree. It is a type of bonsai tree that can grow quite high. Its characteristics are several braided trunks and multi-foliage leaves. It also needs plenty of light, as well as consistent watering, but not so much as to leave standing water. They are sometimes susceptible to scale insects and fungus gnats. A feng shui money tree: Often used in classical feng shui applications, this cure may be sold with coins literally "growing" on a living plant or small trees. You have probably seen these feng shui money trees many times online. They often come decorated with various crystals for added emphasis. Often, the plant sold as a money tree with coins and crystals is actually Pachira aquatica. The money tree plant is used as a feng shui cure to attract the energy of wealth and prosperity. As with any feng shui cure, there are good—and poor—locations to display a money plant in your home or office. The money area of your home or office is the best place to position your money plant. The health area is also welcoming of this feng shui cure because it represents a vibrant wood feng shui element, which is always good for the health area of your home. In a fame area, a money plant can also create good feng shui. That's because the wood element of the money plant feeds the fire element of the fame and reputation area. The worst feng shui location for a money plant is in the bathroom. It is also not ideal to display your money plant in your self-cultivation area or in your love area.